Maasdam cruises aim to explore the most fascinating corners of the globe. Close to home, discover Australia, South Pacific and New Zealand with cruises from Sydney, Brisbane and Auckland or enjoy one of the newly introduced cruises out of Papeete, French Polynesia, which will introduce you to Pacific islands you may have never cruised to before. 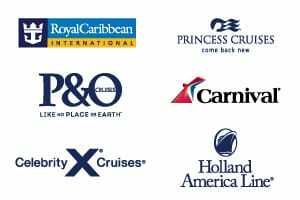 If you’re looking to cruise from Australia or New Zealand to another exotic destination have a look at cruises cruises to the US or cruises to Asia. 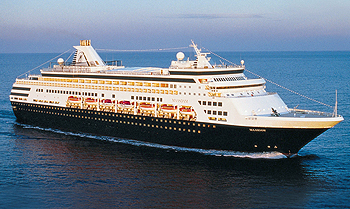 Once in America, Maasdam cruises explore both the north and south of the continent. In the north, embark on an Ultimate Alaska itinerary which integrates the icy straights of Alaska with the western coast line of the US, discover the vibrant atmosphere of the Mexican Riviera, or board in Boston or Montreal to witness the striking natural beauty and quaint coastal towns while cruising in Canada and New England. Maasdam cruises in Asia have a number of departures from Singapore or Yokohama, however there are a number of cruises that either cruise into or out of an Asian port to other areas of the world. You can cruise into Asia from Fremantle, San Francisco or Seattle, while cruises from Asia end up in Australia. Looking for something else? 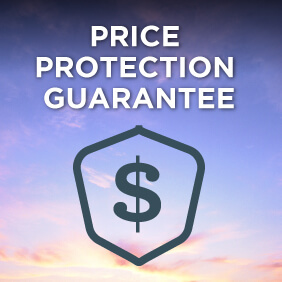 View a selection of Holland America cruise deals, or view more options for Holland America cruises. Named for the Maas River in the Netherlands, Maasdam is the fifth ship in Holland America‘s 140-year history to bear the name. Featuring an interior motif that pays homage to the historical Dutch East and West India companies of the 17th through 19th centuries, the centrepiece of this elegant ship features Luciano Vistosi’s “Totem,” a monumental sculpture using nearly 2,000 glimmering pieces of glass, prominently displayed in a soaring three-story atrium. While on board, choose from an array of on board activities that allow you to pursue new interests or relax and rejuvenate. Each voyage offers a variety of educational opportunities for guests to discover particular topics in more depth. These topics include Photography, Nature and Science, Arts and Culture, Food Wine and Spirits, History and Perspective as well as active exploration. On board there will be experts in these fields to guide, teach and instruct guests. It is important to note that, from September 2018, Maasdam will no longer have a kids club on board nor will be operating production shows. Changes to Maasdam cruises are to create an innovative and customised approach to cruising for seasoned travellers who are curious, thoughtful and eager to find ways to see and understand the world. Pinnacle Grill: This intimate venue offers an elegant, sophisticated dining experience. Featuring premium Double R Ranch Beef, inspired seafood dishes and many select wines rated “Excellent” by Wine Spectator – as well as distinctive Bvlgari china, Riedel stemware and Frette linens. The Culinary Arts Center, presented by Food & Wine magazine: our state-of-the-art demonstration kitchen for gourmet presentations, tasting events and intimate cooking classes. Rembrandt Show Lounge: features talented vocalists, dancers, illusionists, comedians and variety acts. Crow’s Nest: offers sweeping 270 degree views during the day, and a hip, fashionable nightclub each evening. Club HAL: our dedicated youth facilities and activities for kids ages 3 – 12; activities are supervised and age appropriate. The Loft: designed exclusively for teens (13 – 17) to have fun, socialize and hang out with people their own age. Enjoy the Tamarind for food evoking the rich culinary traditions of Southeast Asian, China and Japan. Club HAL provides a wide variety of exciting youth and teen-friendly activities for guests ages 3 to 17, supervised by full-time staff with degrees in education, recreation, childhood development or related fields. Powered by The New York Times: a comfortable, coffee house environment where you can browse through an extensive library, surf the Internet and check email or simply read the morning paper. For rejuvenation through exercise, we offer fitness classes in yoga, Pilates and more, as well as a professionally staffed Fitness Center equipped with the latest cardio and weight machines. Two refreshing outdoor pools also await, along with basketball and volleyball courts on deck. Whether you like to Tango or Quickstep, or enjoy watching sizzling dance performances, you can experience the excitement of ABC’s hit show Dancing with the Stars: At Sea on board Maasdam cruises. Guests can learn the steps, meet the stars, and join the fun. Six feature theme cruises offer an in depth Dancing with the Stars: At Sea experience with dance lessons from the pros, a question-and-answer session, photo opportunities and a dazzling production with the stars and glamorous costuming from the show. In addition to the theme cruises, all 15 ships in the Holland America fleet will feature exclusive Dancing with the Stars: At Sea dance lessons developed by the show’s professionals and lead by the onboard dance team. Select guests from these classes will be invited to dance center stage in the show lounge in an exciting dance-off performance. Due to the tremendous popularity of the B.B. King’s Blues Club on Eurodam, Holland America Line is pleased to welcome B.B. King’s Blues Club to the Westerdam, Zuiderdam, Noordam, Nieuw Amsterdam and Maasdam Join these world-class musicians as they create a dynamic energy that will move you to sing and dance along. Always at the heart of the Holland America experience is our warm and award-winning style of service that is never in the way and never out of reach. We sail with nearly one crew member for every two guests, providing the intuitive, gracious service that has long defined classic cruising. Our extensive onboard services, from special dining requests to full service laundry and dry cleaning services, are designed with your comfort and convenience in mind. Our specially trained crew takes pride in anticipating and fulfilling your every wish. From our waiters and bartenders to our chefs and wine experts, our spa technicians and fitness instructors to our officers and housekeeping staff, everyone is dedicated to providing you with the gracious and personalized service that will make your cruise vacation memorable. On board Maasdam cruises, you’ll discover an experience that is modern, fresh and appealing – in an ambiance that is timeless and refined.